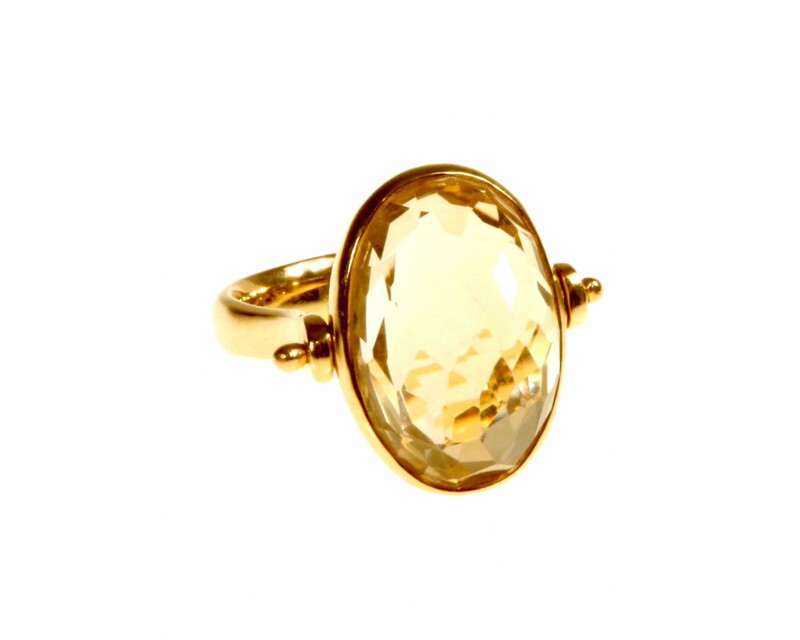 Yellow citrine set in 18ct yellow gold. 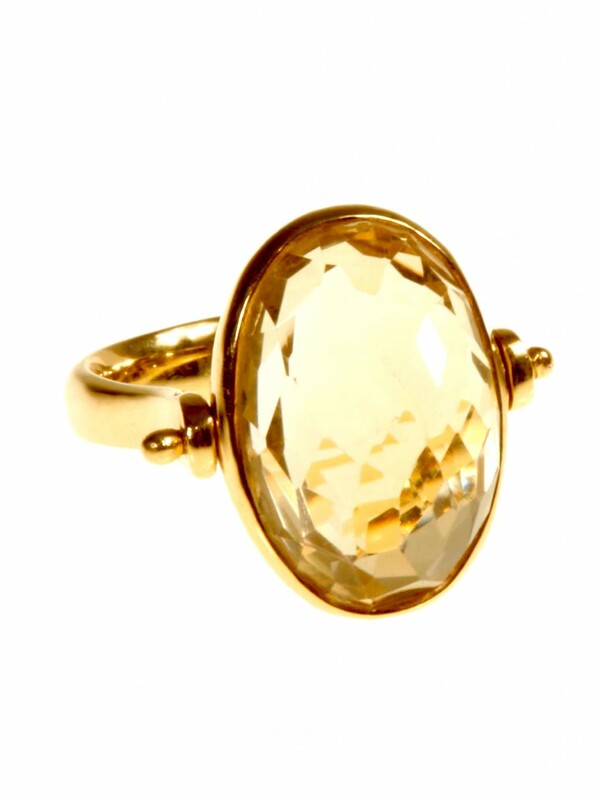 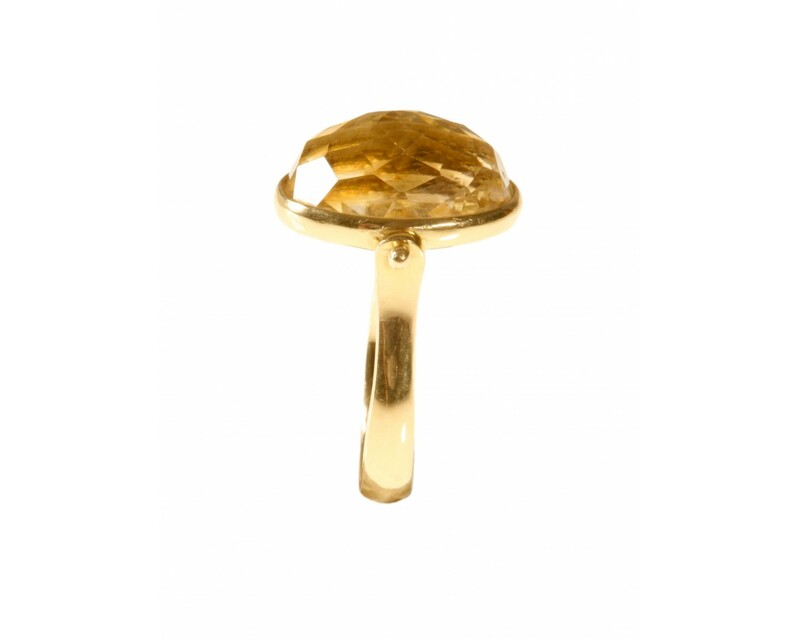 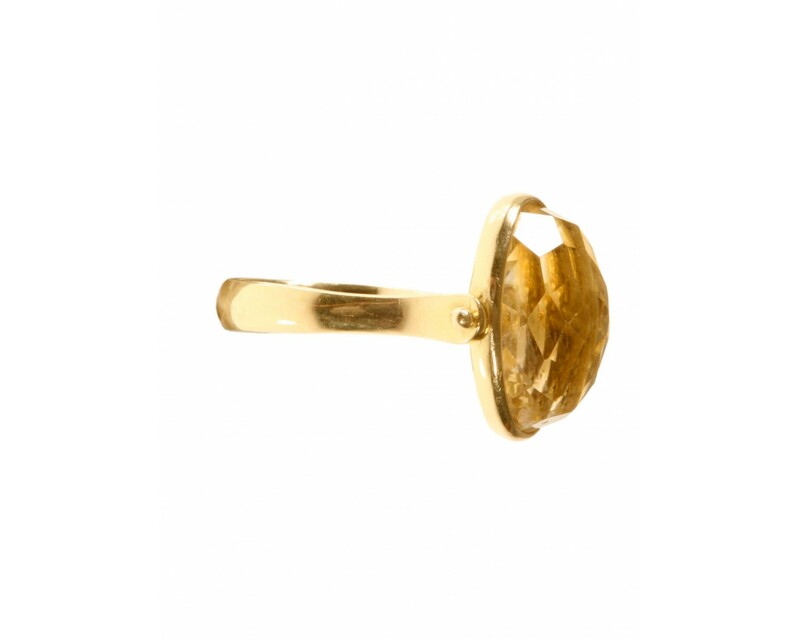 This lovely warm pretty yellow citrine stone has been uniquely set in an 18ct gold swivel setting. 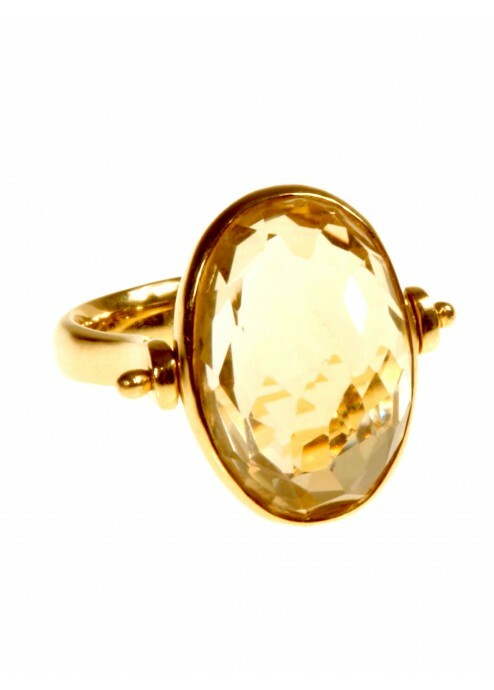 Also available to order in 18ct white gold.